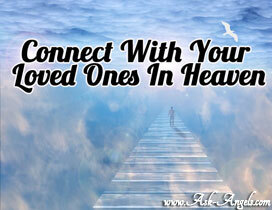 Do you wish you could communicate with a deceased loved one or with your ancestral guide? You can! It's actually quite likely that you deceased loved ones and ancestral guides are already sending you little signs and signals to let you know they are with you, doing well, and watching over you from beyond the veil. With guidance and practice you can further develop your ability to clearly connect with your loved ones who have passed on. 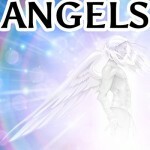 In fact, I've channeled two new angel messages which will help you to do just that. In these messages Archangel Michael, Archangel Azrael and your guardian angels connect to assist you in journeying beyond the veil to connect with your Ancestor Guides and with your Deceased Loved Ones in Heaven. You Will Receive Two .MP3 Angel Messages! Ah… I’m so grateful to hear that. Thanks for your comment! I lost my fiancé and absolute love of my life 2 1/2 years ago. The pain is like nothing in could ever describe and I’m sure you know exactly what I mean. Have you researched and seen a professional and reputable medium? When my fiancé passed away I started having all of these crazy experiences happen and coincidences that were more than mere coincidence. I spoke with a medium and she acted as a sort of mediator or translator. I was sceptical going in but she knew things that there was no possible way of knowing. I didn’t say a word to her about who I was trying to contact. I just said yes to validate when she was correct. She e en mentioned things that I didn’t know and I had to ask my fiancé CDs mom about. Sure enough she knew exactly we hg at I was talking about. Now I can connect on my own without a medium. Your fiance can hear you. You just have to calm yourself and get in a quiet place. Think of the best memories you HK ad together and the gratitude you have for those moments. Your love is the energy that connects you so focus in on Tu that and then you will feel him. It will be subtle. Very subtle but you will feel him. Then start asking questions and listen. Thw first thing that pops into your head is the answer dint judge or second guess. The hardest part is getting out of your own way and believing. I hope this helps. I forgot to mention I often talk to my deceased mother, father and sister and ask for guidance. As my sister was being buried, a double rainbow appeared and often when I am distressed a double rainbow appears I believe is she telling me its going to be ok. It has been showering here most of the day and maybe she couldn’t send the double rainbow sign and maybe the shower turning on was her sign today. I just don’t know. I heard water running when I stepped outside, thinking it was the rain running down the drain. When I went to my laundry I found the hot water shower tap turned on by itself. I had been in and out the laundry most of the morning and afternoon after my shower this morning. This occurred 6 hours after showering! 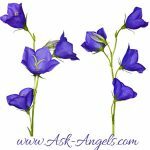 I have been talking the my guardian angel and and asking for her and other angels assistance and guidance through an issue I have. I asked for a sign to show me they were here over the pass few days and i believe I felt their presence. Could this be them as I asked again this afternoon for a sign they could hear me? So sorry to hear about your loss Yani. Your wife is very much still with you and looking over you and your children. I would recommend starting by imagining her to be with you… Her presence in the trees, in nature, and all around. Ask her to show you a sign she’s with you… But know that even if you don’t notice it right away, her love and presence is certainly all around. Please tell me any messages from my hubby Fernando. He passed last year. dear melanie I love reading the angel cards you post but the one on signs from your loved ones I really like as I do have lovely dreams there is so much I would like to ask you to help me understand of many other dreams I have had , Do you feel that may be you can help me understand can you get back to me I would be more then greatful to you your truley elizabeth .oct 27th. First I would like to know what chakras mean. Also, I love reading the messages. I am not in a healthy state. Have already lost my daughter and now one of my sons is very ill and in a great deal of pain as am I. I forward these messages to my son with the hope he will read and practice what it says. I am 64 but was much more in tune with the white light in my 20’s. I need to get back to that state again, to rid myself of all the garbage I have accumulated through the years. So much anger and regrets. Thank you for these messages. Got your email re. 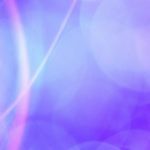 Connect with loved pnes in heaven and I would love to but you have it in audio so no use to me as I’m deaf. Where do deaf people fit in?? ?